Legendary Original Bones Swiss bearings are the optimum combination of Bones Skate Rated™ design and Swiss precision manufacturing. 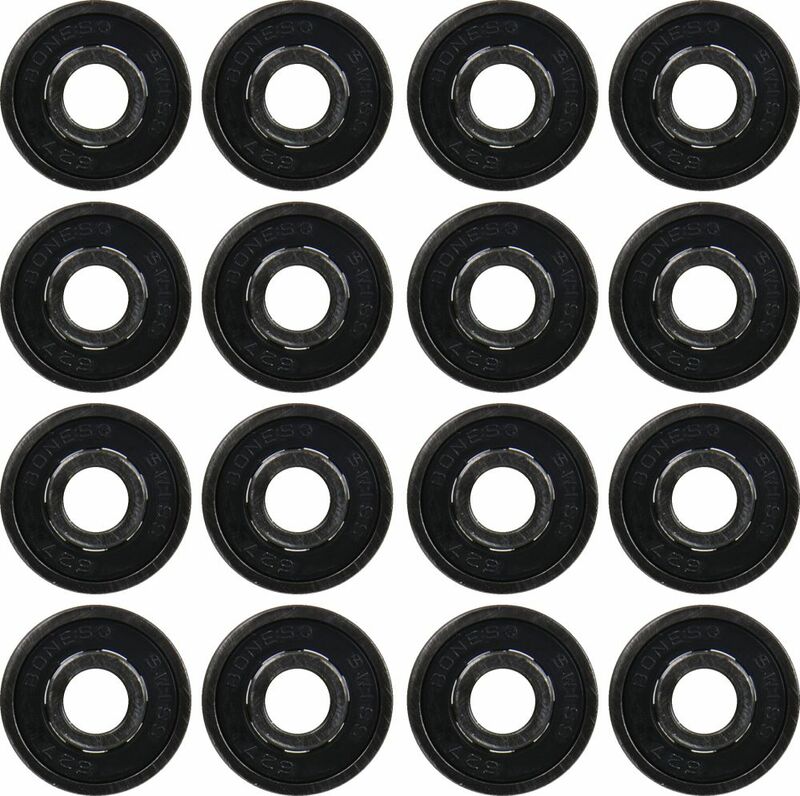 Bones Swiss bearings come with 7 steel balls and a rugged design lubricated with Speed Cream oil. Ideal for speed skating and other demanding high speed roll sport. Single, removable, non-contact rubber shield allows for easy cleaning and low friction. 7 high quality steel balls. High speed Nylon ball retainer provides added strength and speed.